For years now the Stone Smoked Porter has been readily available for mass consumption with the occasional alternate version popping up at the brewery and beer events. Finally after years of talking about that great Smoked Porter that you tasted at that one beer event you can now pick up a six-pack at your local beer store. 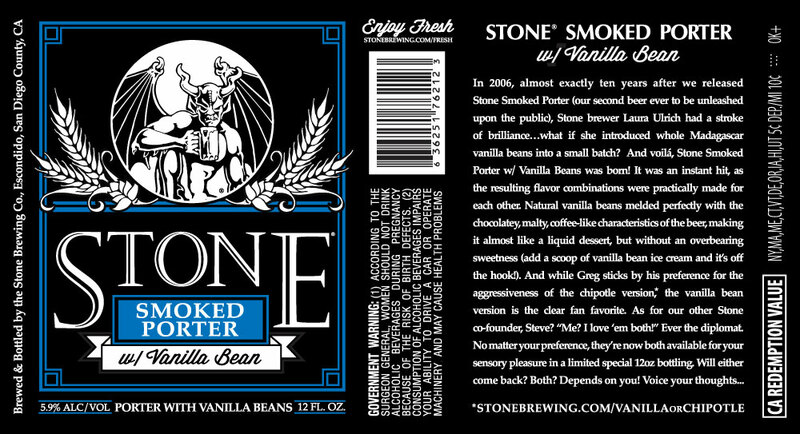 SMOKED PORTER with VANILLA BEANS is an American Porter with a 5.9% ABV.